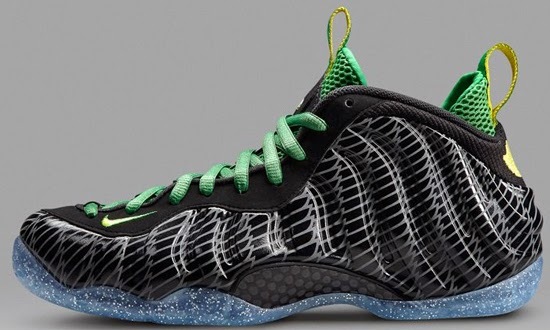 An official look at the "Oregon Ducks" Nike Air Foamposite One Premium set to drop next week. 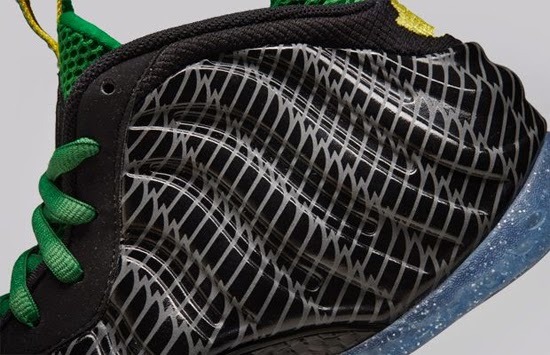 Originally a player exclusive for the University of Oregon Ducks, this Nike Air Foamposite One Premium is now officially set to release to the public. 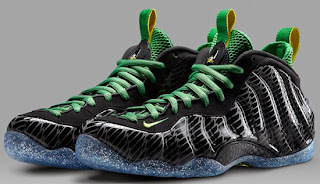 They come in a Ducks themed black, yellow streak, apple green and silver colorway. 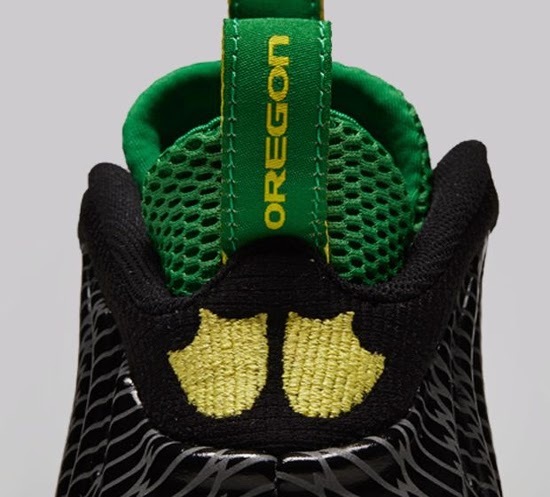 Featuring an all-over reflective wings print inspired by the Ducks on-field uniforms has been paired with a mostly black upper. 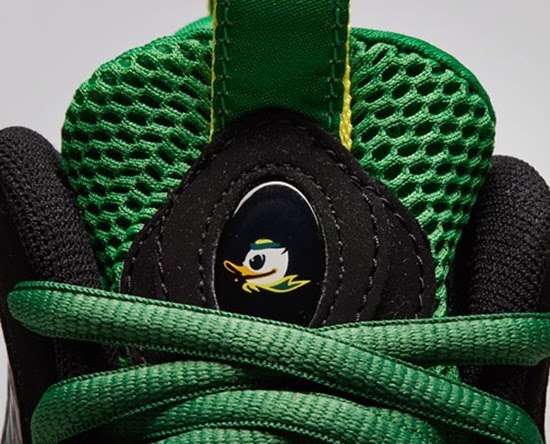 Ducks insignia on the heel and tongue along with an ice sole highlighted with silver speckles complete the package. A limited release, look out for these at select Nike accounts worldwide on Monday, December 30th, 2013. Retail is set at, $250. Enjoy the official images below of the "Oregon Ducks" Nike Air Foamposite One Premium in black, yellow streak, apple green and silver. If you're interested in picking these up when they release, check in with your local spots to see if they will be receiving them. Those of you looking for a pair now can, grab them from eBay here.